We diversified our operations into agency, wholesale and distribution and set up the “Jumairah” company. Jumairah Toys has been growing great brands since inception and we are the exclusive distributor in Saudi Arabia for many of the world’s leading children’s toy brands. We distribute a wide selection of toys for various children’s markets such as traditional wooden toys, children’s gifts, educational toys, licensed toys and collectible toys. Our food wholesale and distribution business specialises in bringing an extensive range of international products and fruit and vegetables to the Kingdom. 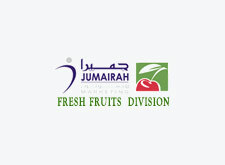 We are Saudi Arabia’s leading distributor of fresh produce to supermarkets and hotels.